You can trade several different assets. Technology and the evolution of finance and investing has allowed many retail investors to access the markets. IQ Option is a trading platform that allows you to trade stocks, Forex, and currencies through different product offerings. In traditional finance, many trading platforms have high capital requirements and that has prohibited many from entering the market. With IQ Option, they have many different products and opportunities to gain exposure and profit from market movements. This article will be an in depth overview of IQ Option, allowing you to formulate an opinion if this is the right fit for you. What Assets Can You Trade? IQ Option, as you can probably guess, is a trading platform that allows for different trading options that include CFD’s or binary options. These different products allow you the investor to gain access to the underlying market without owning the asset itself. A CFD or Contract for Difference is, “a type of financial instrument that allows you to trade on the price movements of stocks, regardless of whether prices are rising or falling. 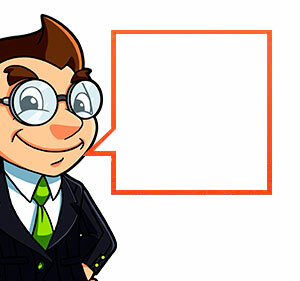 The key advantage of a CFD is the opportunity to speculate on the price movements of an asset…”. Many data points such as trades made and accounts opened have continued to increase over the last several years. Also, withdraws have increased and processing time appears to be only 1 day, when in 2016 they switched to instant withdraws. ‘Is IQ Option fraud / scam or real investing opportunity? – one of the most asked questions when it comes to these style of trading platforms is can you count on the reliability of IQ and their operations. How many of these platforms confirm their credibility is though certifications. 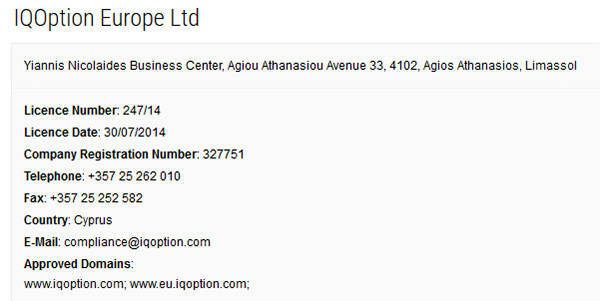 According to Scam broker.com, IQ Option is licensed and regulated by CySEC with license number 247/14. This particular license covers people in Europe and if you are located outside of Europe, this company would be considered unlicensed. However, if you look on the IQ Option website, there appears nothing linking the website to the license, so you will have to do some digging. As far as asset protection, beyond the standard protection there appears to be nothing out of the ordinary. IQOption.com appears to be reliable and transparent, but let us continue through the overview. Similar to many of the platforms that offer the same products, there is no surprise in how this platform and the products work. Starting with a CFD, as described above, is a product you can use to speculate on the underlying asset. With this, it works very similar to trading the underlying asset as you first have to decide for yourself if the price is going to increase or decrease in value. From there, you can select the position you wish to hold and wait for the market to move. Another product you can use is a binary option, which simply states that a price with be above or below a certain strike price at a point in the future. Binary options allow for defined risk, but can be volatile depending on the time frame you choose. Check out IQOption’s home page for a complete rundown of how you can implement these products. Lastly, they offer a product called a digital option, which is a hybrid of a traditional option, and binary option. The closer you move the strike price to the market, the less you will profit as you have a higher probability of being in the money. Opposite is the further away from the market the higher your profitability because you are taking on a greater risk of being wrong. According to the companies website, there are several different assets you can trade. The different assets include stocks, Forex, commodities, options, crypto, and ETF’s. Given the vast selection of investment and trading options, there is bound to be an asset that fits your portfolio needs. Crypto continues to be a growing market space as people are looking to catch part of the wave. Also, being able to trade binary options allow a more versatile way to access markets that otherwise would require higher capital and greater risk. With over 128 stocks, you have a wide selection of equities to sink your teeth into through CFD’s. Some of the better-known names include Tesla, BMW, Snap, Hasbro, and Twitter. Having a wide variety of equities to choose from allows you to build a more diverse portfolio. Among all, the many different assets should allow you to invest and trade freely. One of the more important questions people ask are what accounts can be opened. Ideally, you would want to test drive the platform before using to ensure it fits what your trading objective are. According to a blog post published by IQ Option there are three different types of accounts you can select from. First is the training account or demo account, which can allow you to gain a familiarity with the account. 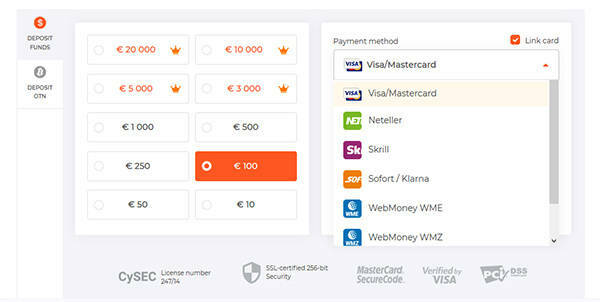 As you would expect, the demo account is free and there are no credit card details required. Your demo account will be funded with $1,000 virtual dollars you can use to test trading strategies or simply test the functionality of the platform. Also, you can deactivate your account at any time. The second type of account is a live, or ‘real’ trading account as they call it. A real account offers you full access to more than 500 assets to trade and real withdraws within minutes to your bank or e-wallet. Another added benefit to a real account is weekly tournaments and access to a live chat feature for any account related questions. As with any account, you have access to the training material and educational information that can boost your trading knowledge. Third and the final account IQ Option offers is a VIP account. With a VIP account, you will receive everything a normal account gets plus a higher profitability rate. According to the post, VIP traders have an average 3% advantage over the rest of the clients. This hits your profitability directly should you succeed in trading and investing. Also, a VIP account will get you a personal manager that will always be there to help answer your questions or resolve an issue. Lastly, the VIP account allows you to access tournaments for free. Given todays technology, it is important to have a mobile phone application. IQ Option provides its users with an app for both iOS and Android. With the apps, you can have continues access to the markets and the ability to adjust your positions as you see fit. Taking IQ Option on the go can give you the peace of mind to invest and trade. Among their mobile apps page, it states that accounts are insured up to 20,000 EUR. Once you learned about the company, they offer free tutorial videos on items such as the mobile platform to how to trade some of their products. Beyond that, you can begin browsing the blog section to read up to date material that is relevant to the market and products they offer. Along with news information, they have information on different trading tools and indicators that can help explain what they are and how they can accent your trading style. Continued education is important in a platform as it shows a genuine interest in the finance community as a whole. Being able to continue learning is important and the fact IQ Options offers that is a huge benefit to the community. Opening an account is simple by following the on screen instructions. Populate the required information and begin your trading adventure. As previously discussed, there are the three different account types and it is important to use a demo account first so you do not lose money learning the platform. Once you’ve opened an account, there is a verification process that will take place. To complete the first step, you must provide a copy of your identity and contact details, as well as accept the agreement and submit an application. Completing the second step includes providing a full copy of your passport or photo ID. The website says the process will be completed in 10 business days, but can increase to 30 if necessary. Funding an account appears to be straight forward and can take as little as a few days all the way up to 45 days should you choose a wire. Once you’ve found your primary depositing method you can begin funding your account. When it comes time to withdraw, you will have to wait until your information is verified. Once verified, you can withdraw funds to the same account you deposited funds with. From there, it may take a few days to process as the company states it flows through there finance department. Lastly, it is extremely important to look at the terms and services to understand what laws govern the platform and any details that may affect your decision-making. In section 16 of the terms and conditions, is states, “The Company and the Clients irrevocably submit to the jurisdiction of the courts of the Republic of Seychelles”. It is important to understand the financial laws that govern that region. From there, you can research the different account details as well as charges and fees. This is the legal information that you will be bound to should an issue arise or you have a questions regarding your account. Overall, IQ Option appears to offer a robust variety of products and assets to trade. From there, you can jump into the different educational publications the company offers their clients and begin forming a game plan. Lastly, the mobile app offers you the ability to trade and invest on the go. Each of these platforms brings something different to the table and IQ Option is no exception. If you’ve had experience with IQ Option please leave a comment down below. Should you be looking for a platform to utilize and invest with take the time to open a demo account and see for yourself. At that point, you have no skin in the game and can back out if it doesn’t fit your needs. Also, should you have a question yourself, leave it in the comments below for the community to assist. The comment above was a spam, I deleted it. The guy makes money on people who lost their deposits, offering ‘help’, which is not free.